A total of 20 nominations were shortlisted across four categories for the Hazardex 2017 Awards, designed to recognise excellence in the hazardous area sector. 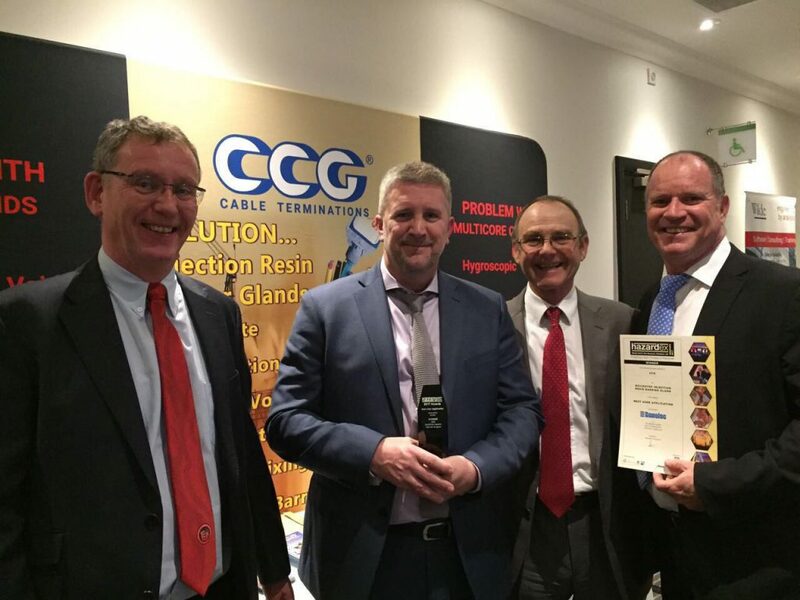 Winners were announced at the Hazardex 2017 Conference and Exhibition Gala Awards dinner on 2nd March 2017. 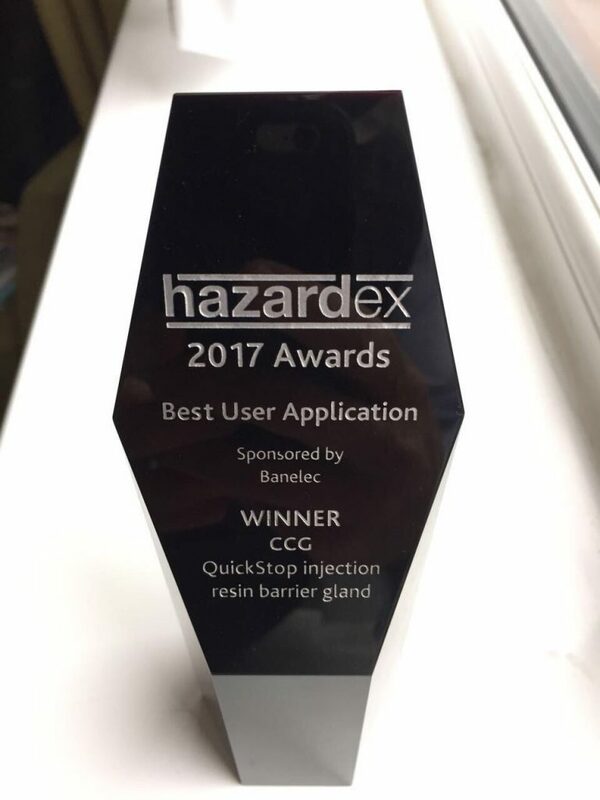 BH Global we would like to congratulate our partner CCG in winning the 3rd Category on Best User Application for QuickStop Injection Resin Barrier Gland. For several years’ installers in hazardous areas have been relying on barrier glands with a two-part epoxy-based putty as a means of stopping explosive gases and liquids from diffusing down unfilled cables. The mixing process can take several minutes depending on the volume of putty required and the insertion of the putty between the individual cores of multi core cable. 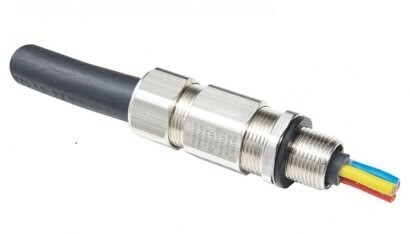 This is not only time consuming but there could be additional risks in that the putty may not have been mixed correctly or packed correctly around the cable conductors, which could result in the potential of voids and gaps for gas or liquids to migrate through. CCG’s QuickStop-Ex Barrier Gland, with an instant mixing and injecting resin, has all but eliminated the problems surrounding the preparing, mixing and applying of compounds/resins in Barrier Glands. The QuickStop-Ex Injection Resin system is instantly and 100% accurately mixed, whilst being simultaneously injected into the barrier gland in one single action.